“Mr. Muldoon is of the opinion that there is sufficient class among the Vancouver ladies to give either of the opposition teams a fine argument on the ice.” This was February of 1914, and Pete Muldoon was looking to raise a women’s team to challenge those already on skates in coastal British Columbia. Come one, come all, the word went out: first practice will be Monday the 9th at the Denman Street Arena between 11 and noon. In 1911, hockey’s famous Patricks — father Joseph along with sons Frank And Lester — put the family’s lumber fortune into building rinks and launching professional hockey in British Columbia. 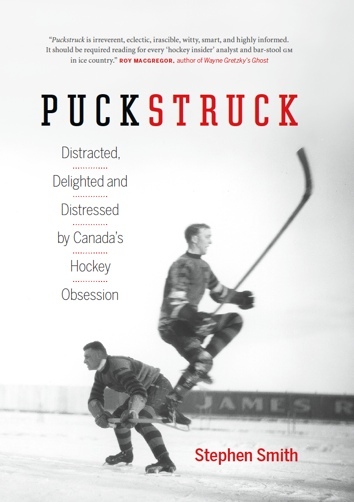 When the Pacific Coast Hockey Association got going in January of 1912 it counted in its ranks players whose names today among the most famous in the annals of the game, Cyclone Taylor, Newsy Lalonde, and the Patrick brothers among them. Pete Muldoon played for Frank Patrick’s Vancouver Millionaires, but it was as a manager and coach that he’d make his name. His PCHA Seattle Metropolitans played three times for the Stanley Cup, winning it in 1917. When Major Frederic McLaughlin bought the Portland Rosebuds and turned them into the NHL’s Chicago Black Hawks, Muldoon was their first coach. He resigned after a year, unless he was fired — either way, the legend goes that he cast the curse that kept the Hawks out of first place in the NHL for 41 years when the spell was lifted/broken/proved to be bunkum. Back to 1914. 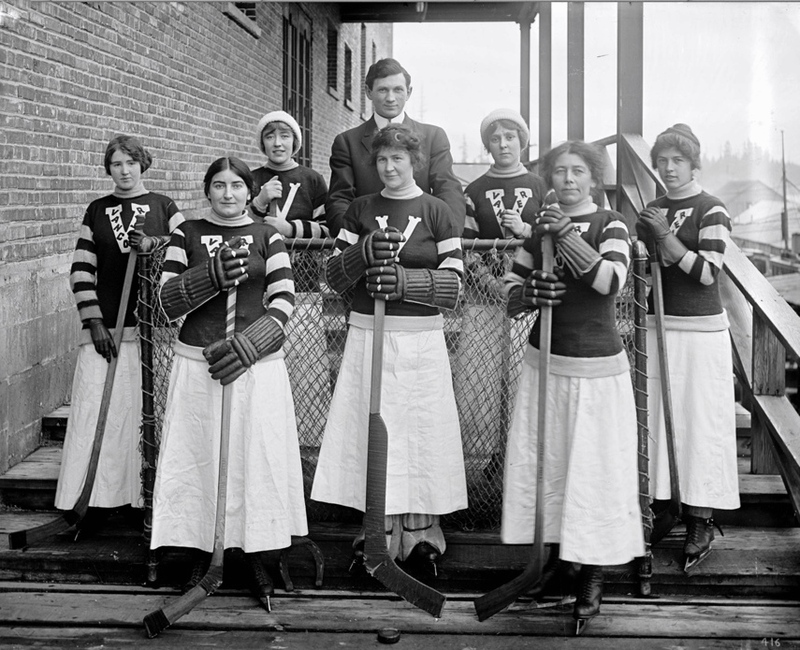 As Wayne Norton’s Women On Ice: The Early Years of Women’s Hockey in Western Canada (2009) explains, when teams from New Westminster and Victoria played each other in Victoria that February, Muldoon hatched the idea that a team of women he’d put together in Vancouver would then challenge the winner for the B.C. championship. Never mind that there were other women’s teams playing elsewhere in the province — Muldoon and company conveniently forgot about them. The game was exciting from start to finish and it was not all “butter fingers” playing at that. Some of the hockey exhibited by one or two of the local ladies and some of the Victoria ladies would certainly make many hockey players take notice. Victoria and New Westminster had previously tied their game, so that when the Millionaires travelled to play the final game in the series, a win by New Westminster gave them the (somewhat suspect) title of provincial champions. Delightful read! I used to attend a women’s hockey tournament in Burnaby every fall and my team always had a super time. I don’t think they host it anymore – pity. Thanks for writing about these trailblazing ladies!